Memorising all of Mark’s gospel may seem daunting, but The Mark Experiment makes learning easy by using a simple method of memorisation. 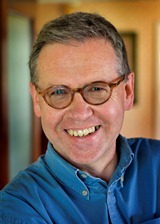 The book, written by Andrew Page (see below), briefly explains every encounter in the gospel, and how it relates to the other events in the narrative. Although The Mark Experiment is not specifically about the Mark Drama (a theatrical presentation of Mark’s gospel), it does provide the basis for it. Using The Mark Experiment, most people can learn each of the six sections in just 10minutes! After 6 weeks, people can recite all the main events of Mark’s gospel in order. After that, acting the whole thing out is easy! “It really can be done! The learning is not onerous and the rewards are considerable.” – a participant from the UK. Memorising Mark’s gospel can be done anywhere – in the shower, on the bus, while you wait for your morning coffee… Whatever you are doing, you can be meditating on God’s word. It’s a wonderful way to become better acquainted with Christ’s life and ministry. After 20 years as a missionary in Austria, Andrew Page is now a member of Above Bar Church, Southampton. While preparing to speak on Mark’s Gospel at a Bible conference, he found that the structure of Mark described in The Mark Experiment was transforming his relationship with Jesus. He wrote the book because he wanted other people to experience this too. Wow! This is superb! If you ever wished you could learn a gospel as a believer or serious seeker, then this is for you. Here we have Mark’s Gospel in memorable format. The treatment of difficult passages and the lucid explanations of the theological links in Mark show that Andrew Page is a sound, careful Bible teacher. The meaning of the cross with its implications for salvation and discipleship are constantly and faithfully presented.